Coronary Heart Disease, chronic illness in which the coronary arteries, the vessels that supply oxygen-carrying blood to the heart, become narrowed and unable to carry a normal amount of blood. Most often, the coronary arteries become narrowed because of atherosclerosis, a process in which fatty deposits called plaque build up on the inside wall of an artery. 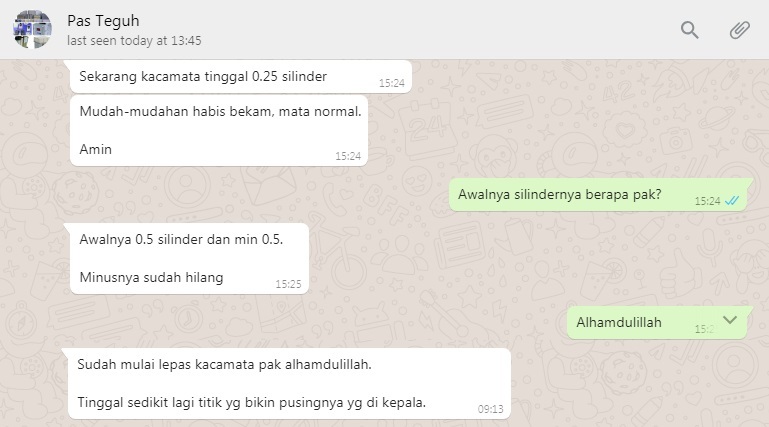 Well, the hypertension, stroke, and Heart Attack can be prevented and even cured (if it is not too late) with Hijamah (Cupping Treatment Therapy). Hijamah is an Islamic Medication that is more effective and cheaper than modern medication. If in the modern hospital you should pay US$ 1,000 to 1,000,000 for stroke, with Hijamah you only pay US$ 50 to US$ 500. First of All, we should now from hadeeth that our prophet used to get hijamah even in Ramadhan. Hijamah is removing the toxin and virus from your body by taking the dirty and clogged blood (which contains cholesterol, virus, etc) out of your body. The way of Hijamah is similar to blood donation that take your blood away with a big needle. The difference is, the needle of Hijamah is much smaller. It is the same with lancet needle to take your blood for medical test. It is not painful at all. Just like bitten by small ant in a fraction of second. If the blood donation could be 473 ml (1 pint), then the blood that out from your body in Hijamah only about 50-150 ml. Very little. 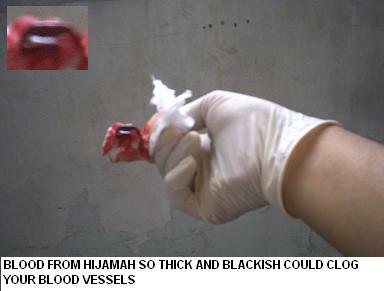 And if the blood in blood donation is fresh, the blood that out from your body in Hijamah is dirty, thick, and black. If the dirty blood is not removed from your body, it could be clogging your artery and causing hypertension and heart attack. If you get Hijamah, your head ache and fatigue will be away. You will feel fresh again. In 3 days, your body will produce fresh blood to replace your dirty blood. After 4-6 times of Hijamah (once a week), usually the patient who had stroke will be healed again. He could read or walk again after his/her blood pressure return to normal. I have a sister. She got stroke on November 2008. After 6 days in the Hospital, the blood pressure still 160. She cannot read SMS in HP. Then I took her to a Hijamah medication. The day after, her pressure return to 120! After 6 times of Hijamah, she could read the SMS again. Maybe it is unbelievable for you. But it is true from real experience. If you do hijamah routinely (once a month), then your blood will always be fresh and the possibility of blood clogging in your artery could be minimized. Once I feel very painful in my left lower chest. I immediately do Hijamah at my upper, middle chest and also spot between chest and stomach. Thank God until now (after several months) the pain no longer come. Honey and Dates could be eaten to strengthen your body so you could recover quickly. Don’t forget also to exercise so you get a strong heart and lungs. Go on a diet (fast in Monday and Thursday) with less meat and more vegetables and fruit so you could get healthier. 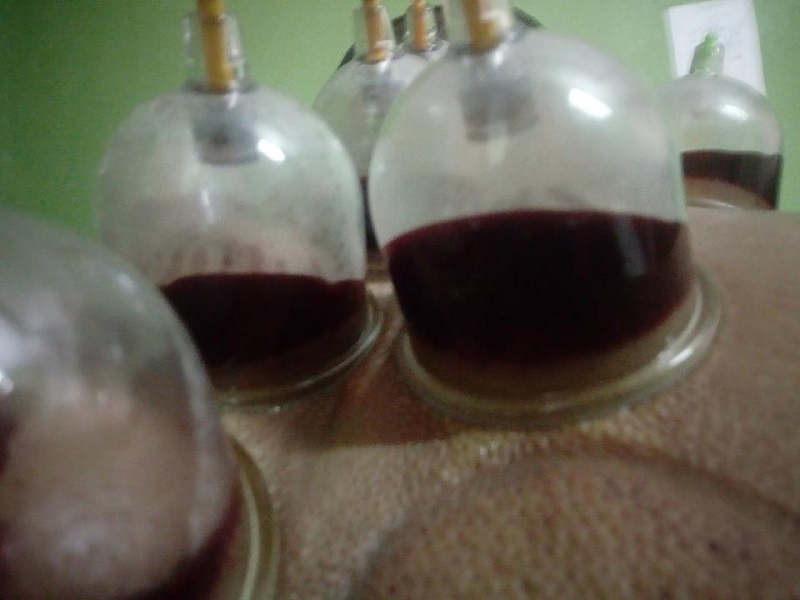 Some of my patients are very sleepy when they get hijama. 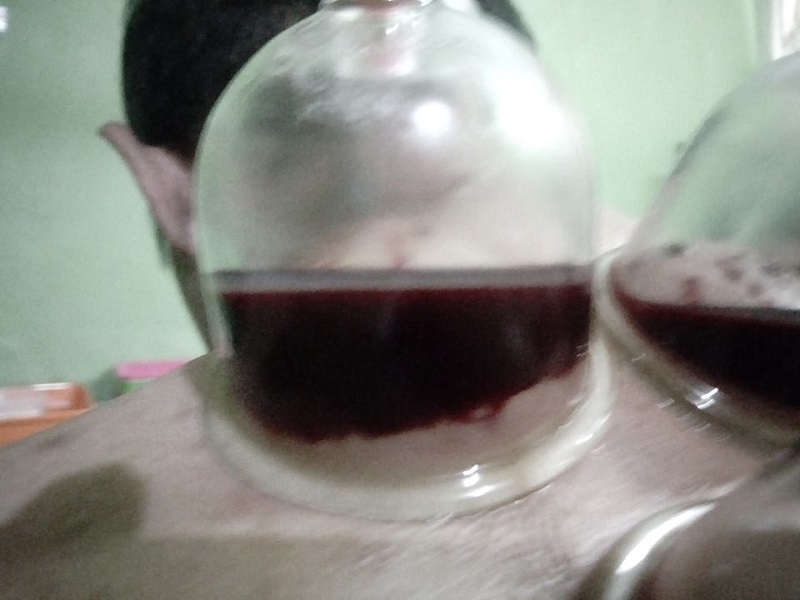 Dibekam Tidak Keluar Darah atau Sedikit Sekali Darahnya yang Keluar?